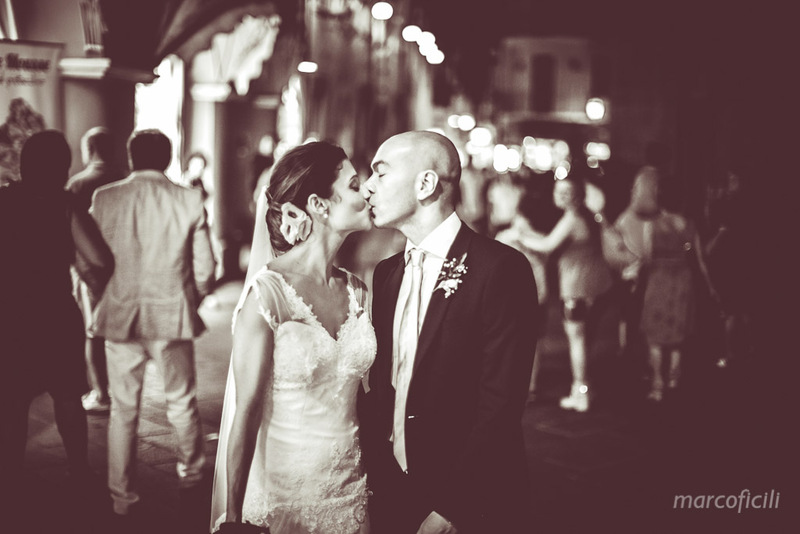 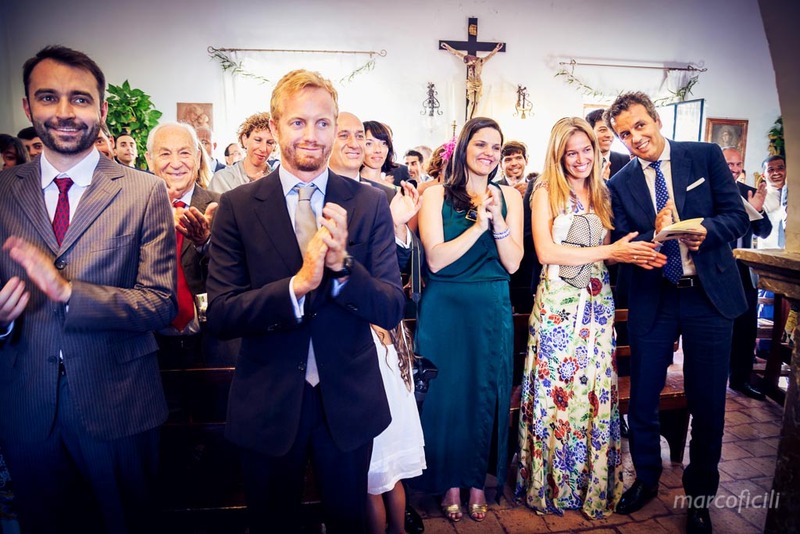 Getting married in Sicily was exactly what Barbara and Francesco wanted to do, since they have decided to get married. 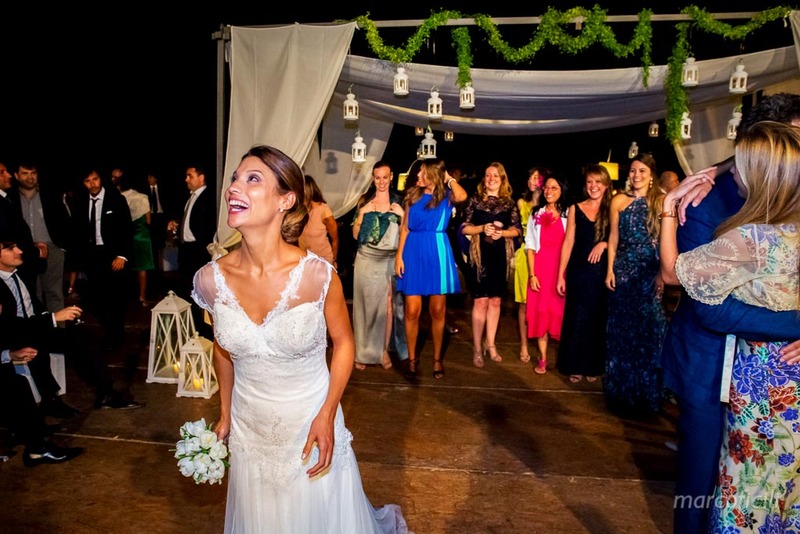 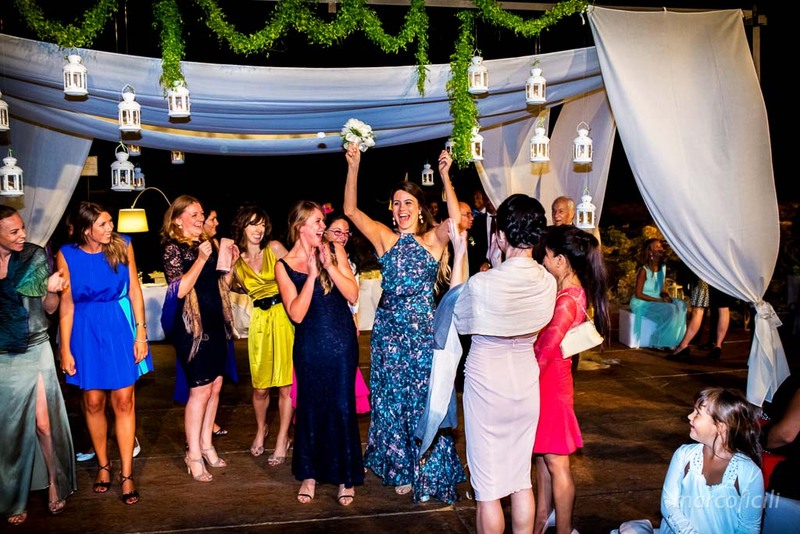 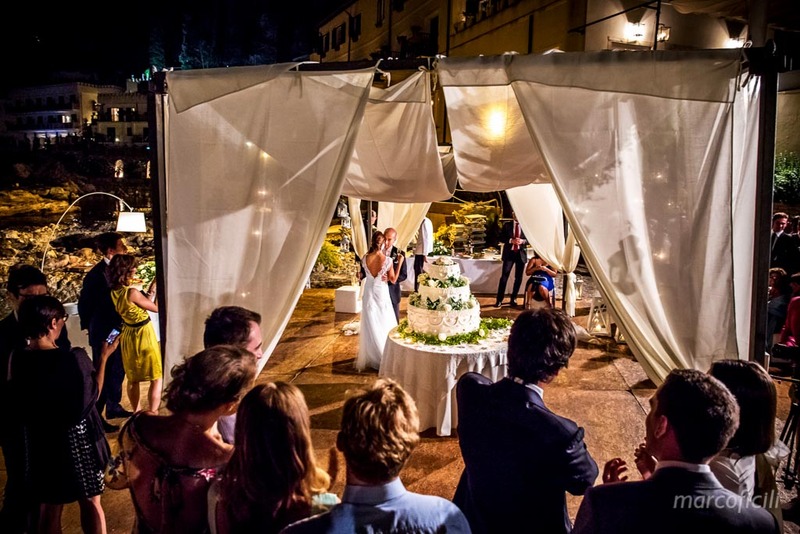 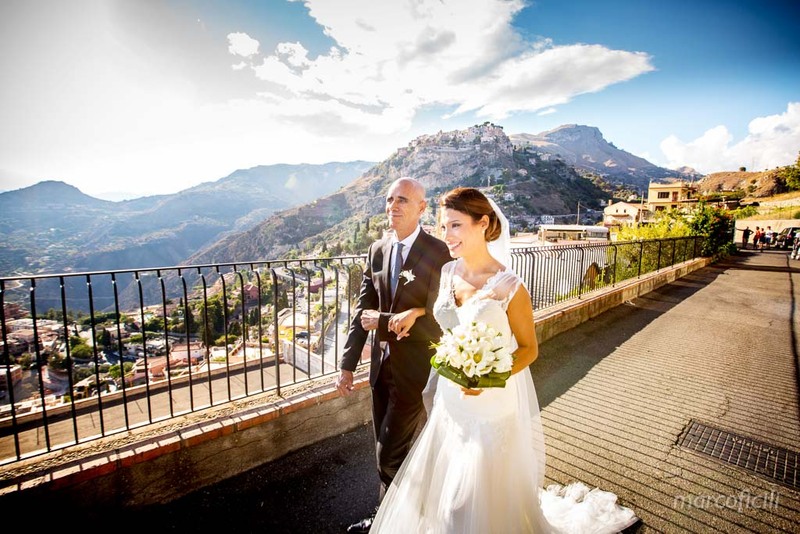 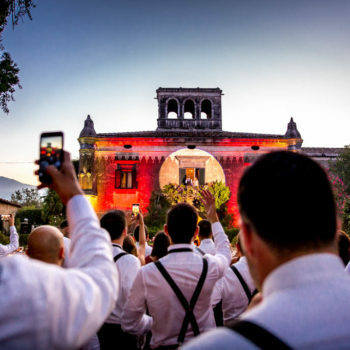 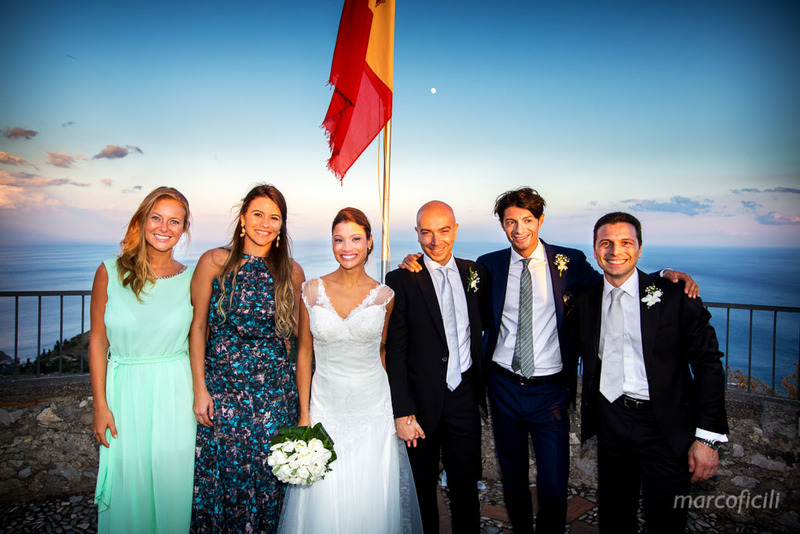 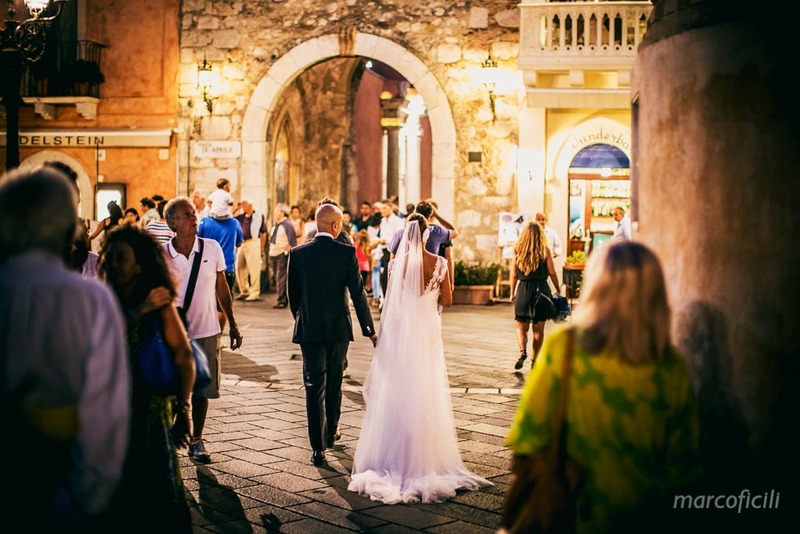 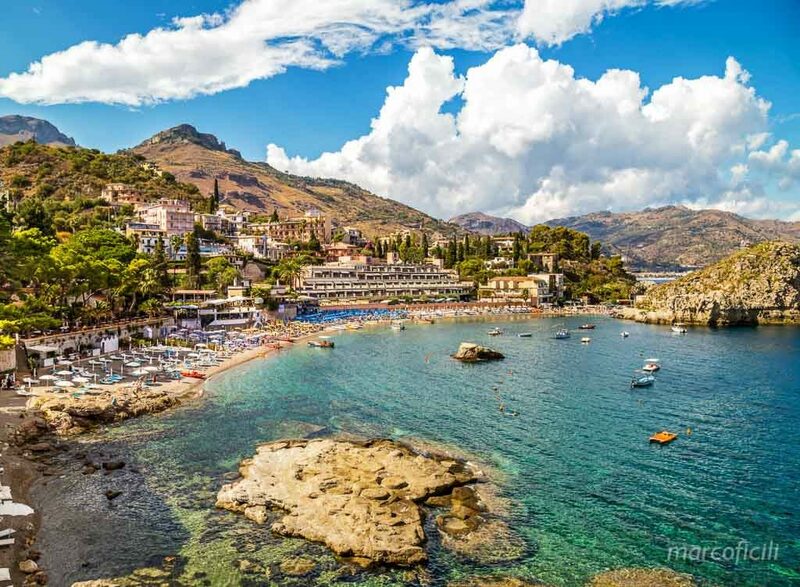 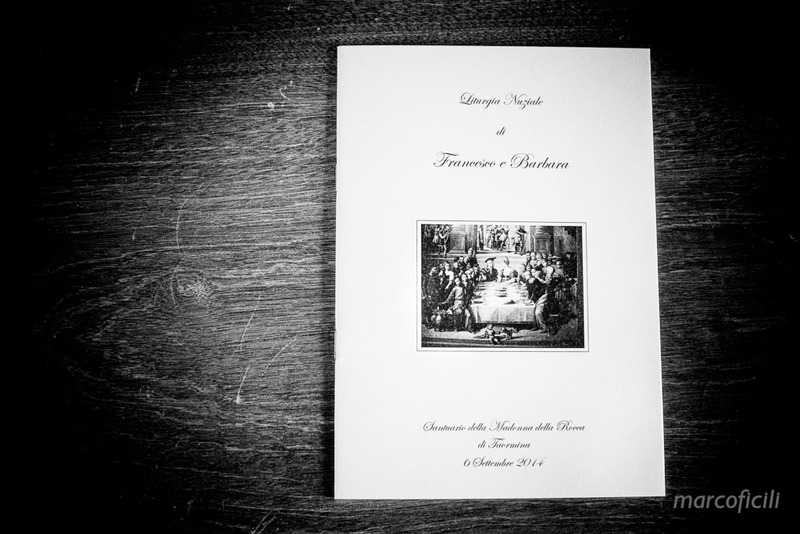 Therefore, they chose Taormina to celebrate their stunning wedding. 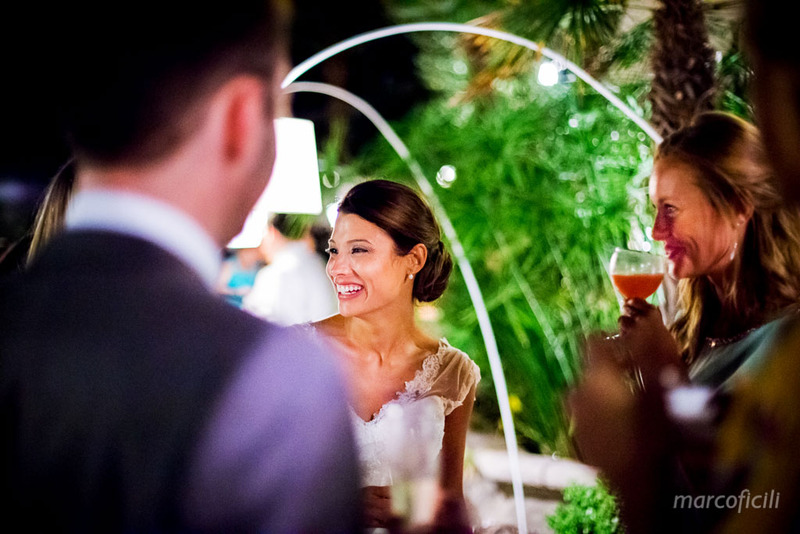 Barbara is Brazilian and Francesco is Sicilian and they live in London, so it’s easy to understand why summer and sunny weather are so important for them. 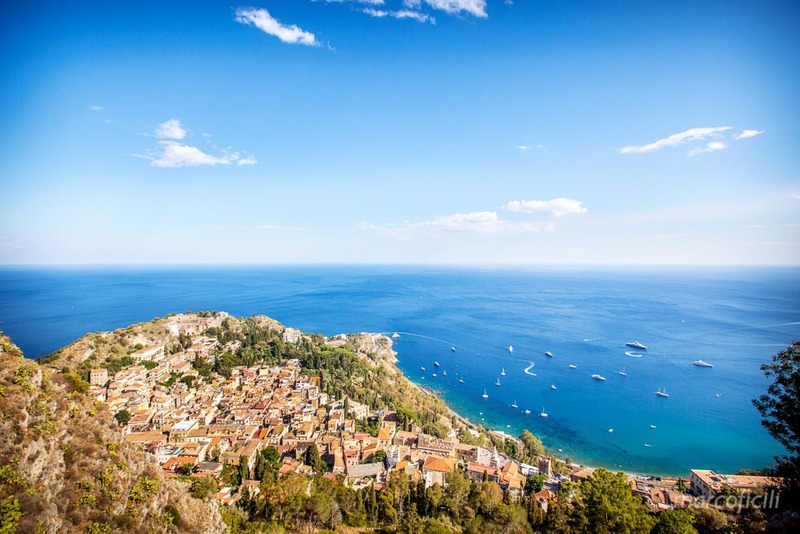 They landed in Sicily from London, attracted by the sun shining and the blue sea. 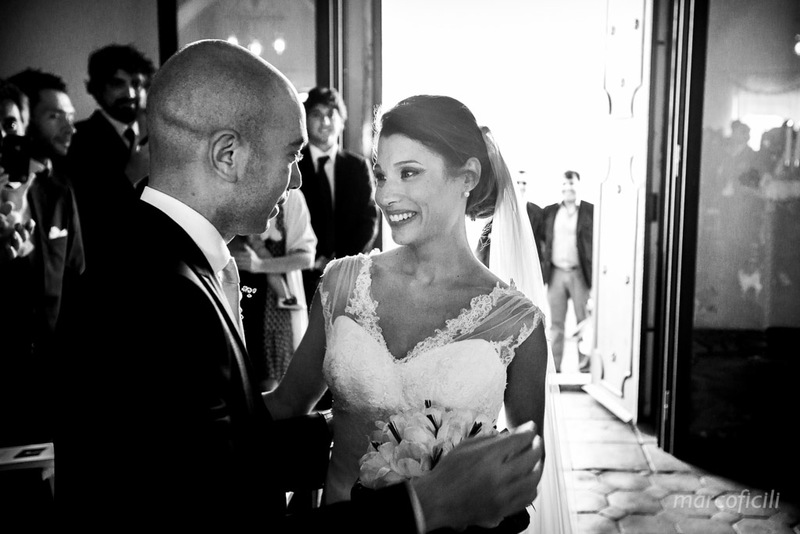 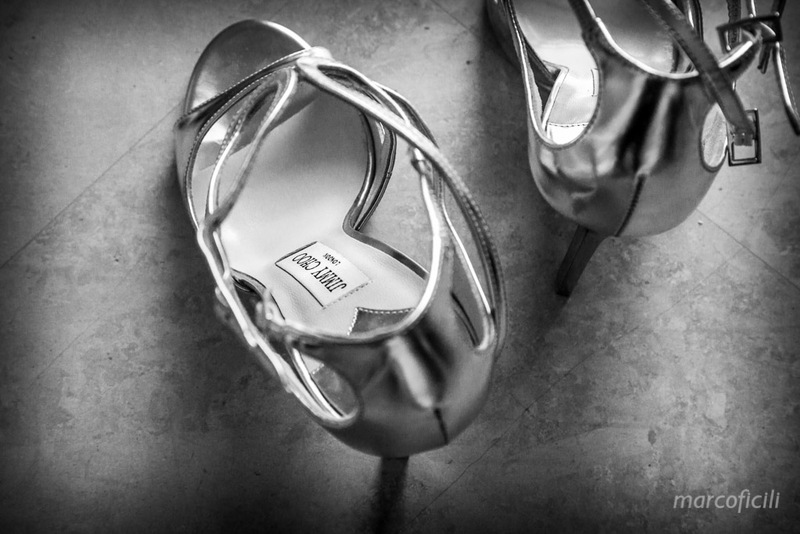 Barbara got ready at the Hotel Villa Sant’Andrea, together with family and her gorgeous little boy. 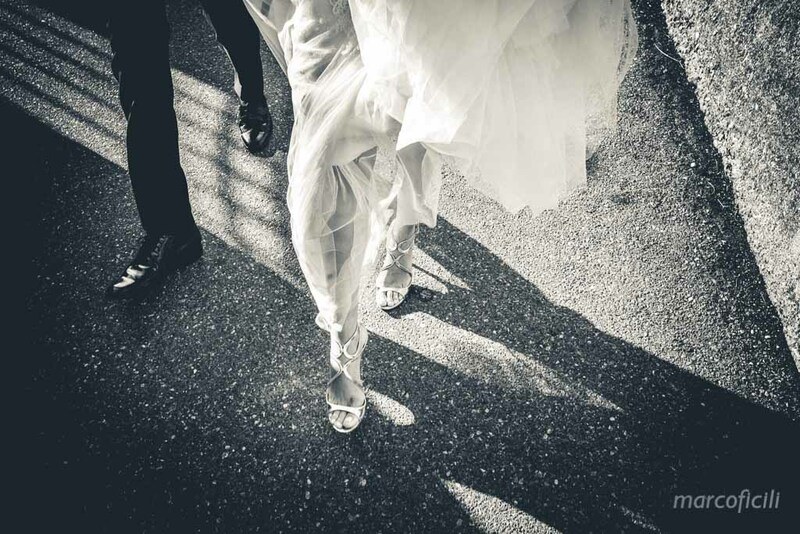 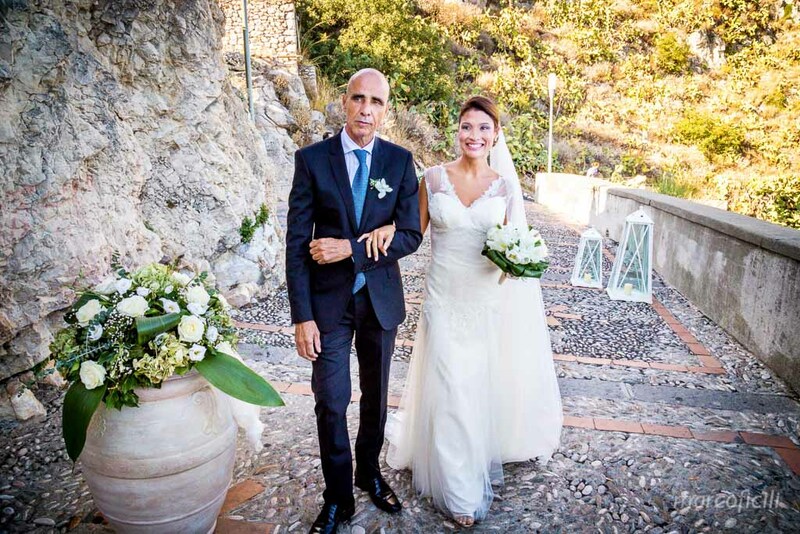 Beautiful in her white and elegant wedding dress, she left the hotel with her father to reach Francesco. 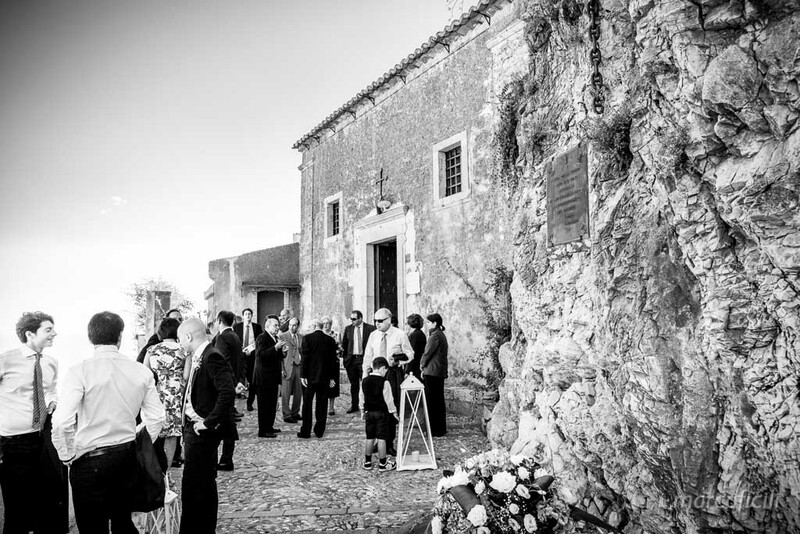 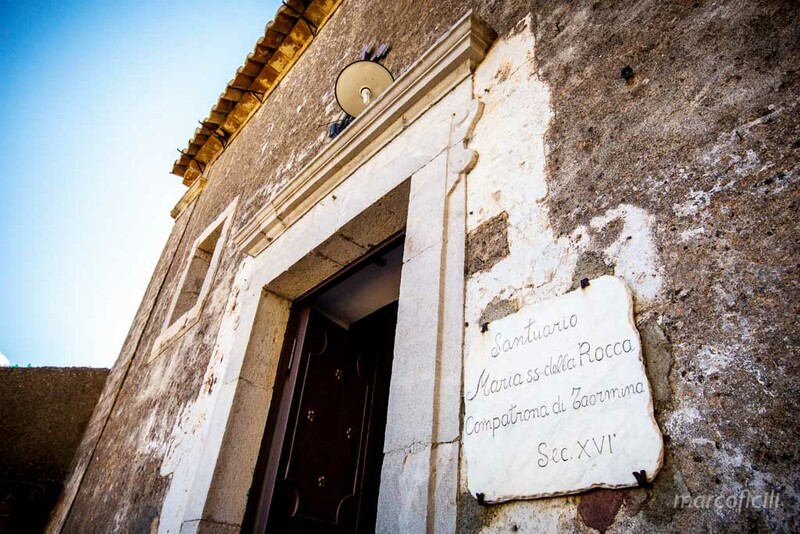 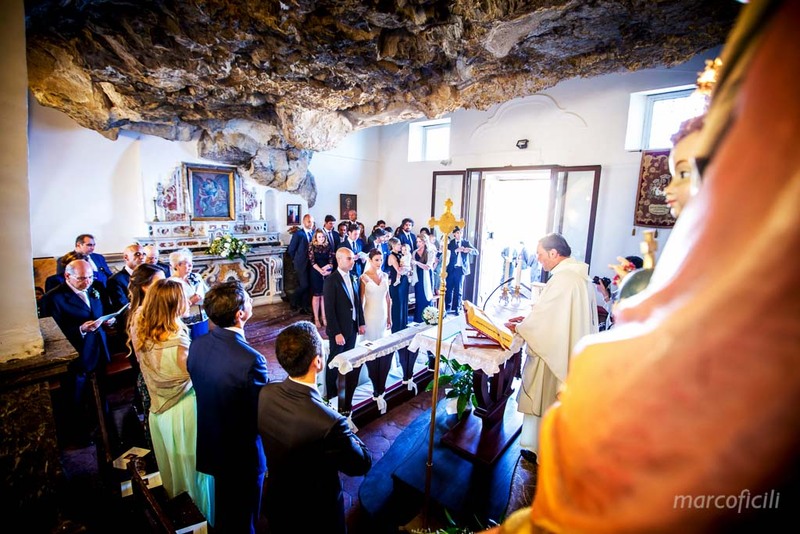 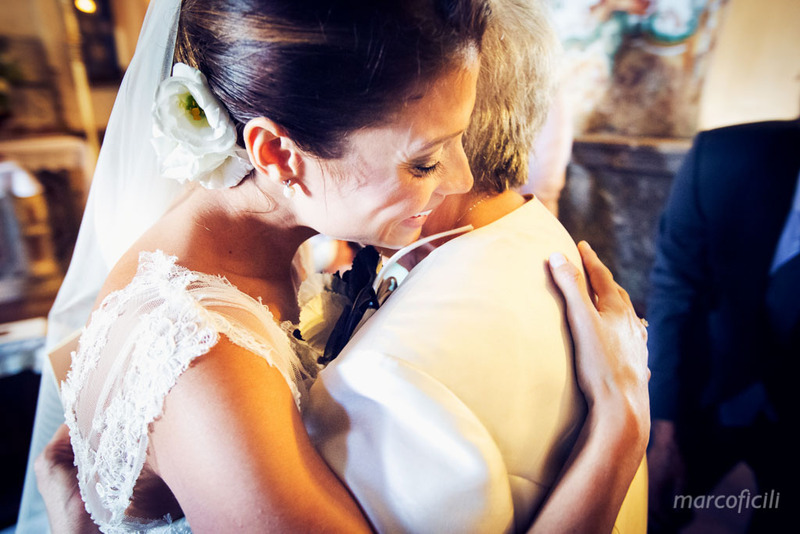 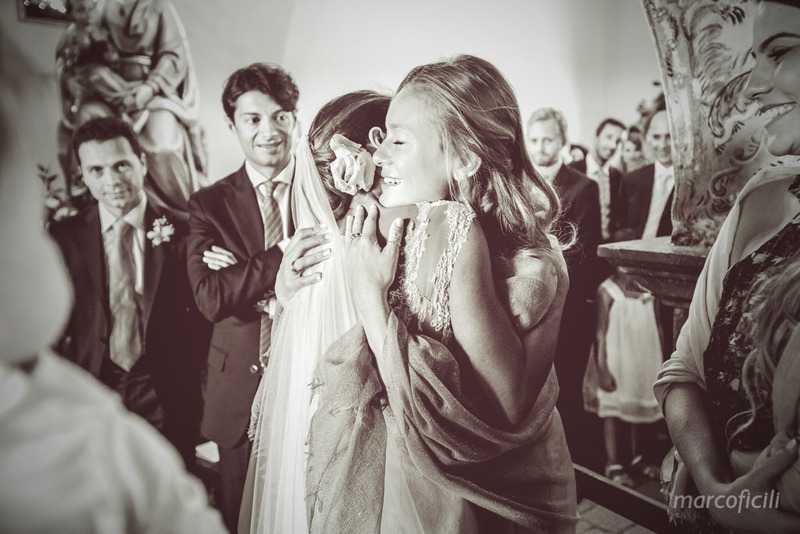 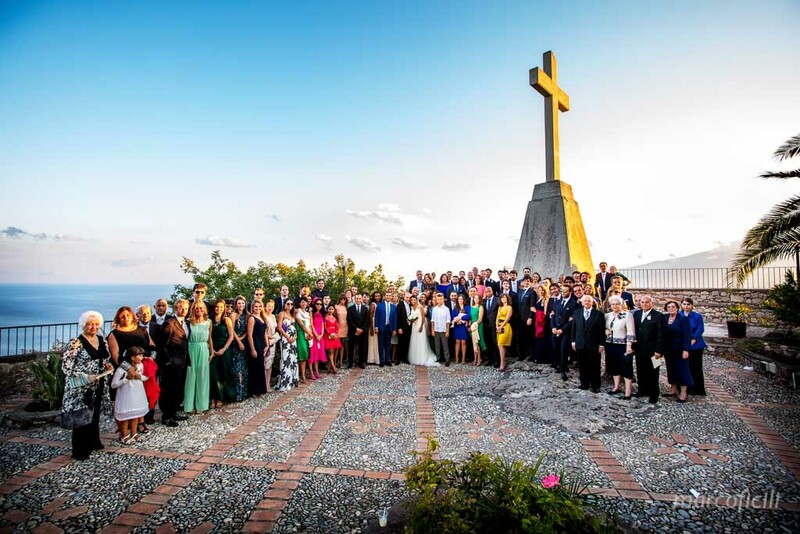 They celebrated their wedding ceremony in the Sanctuary Madonna della Rocca, a wonderful, old little church clinging to a mountain side, between sky and sea. 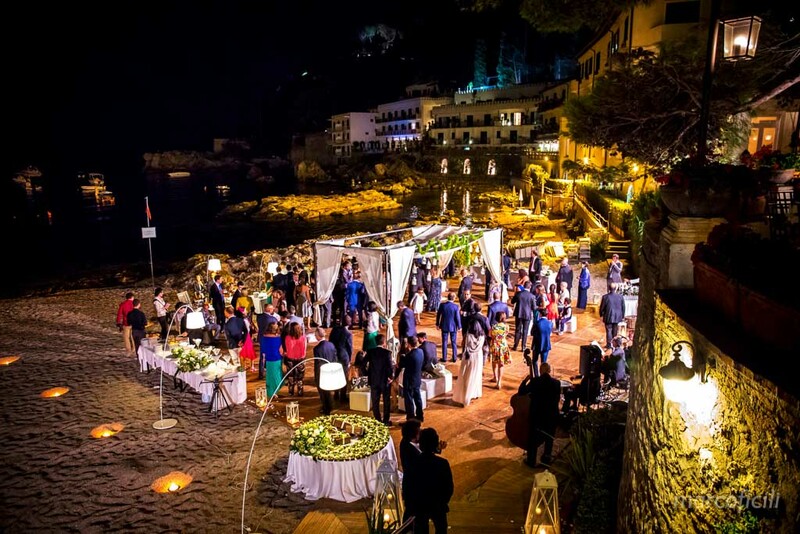 A sweet, intimate atmosphere, together with a breathtaking view of Taormina. 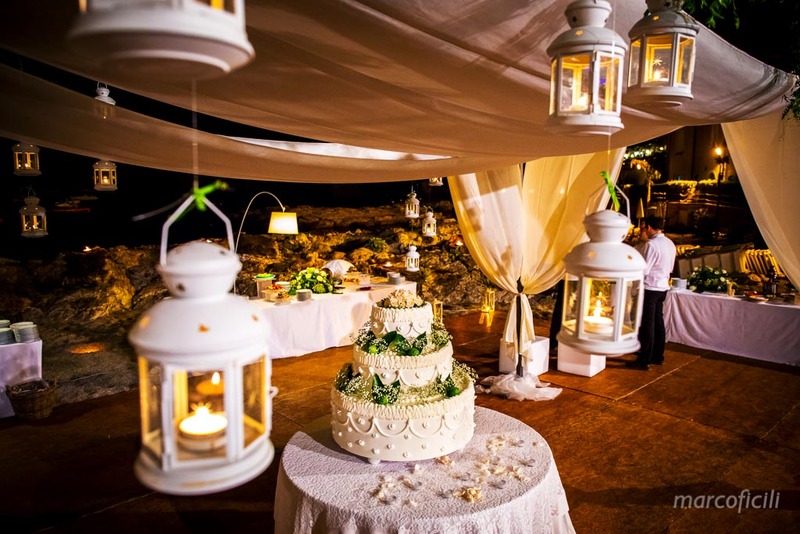 At the end of the ceremony, the newly-weds offered an apertitif, enriched with ice-creams and “granita” Made in Sicily, on the beautiful terrace of the sanctuary under the shade of olive trees. 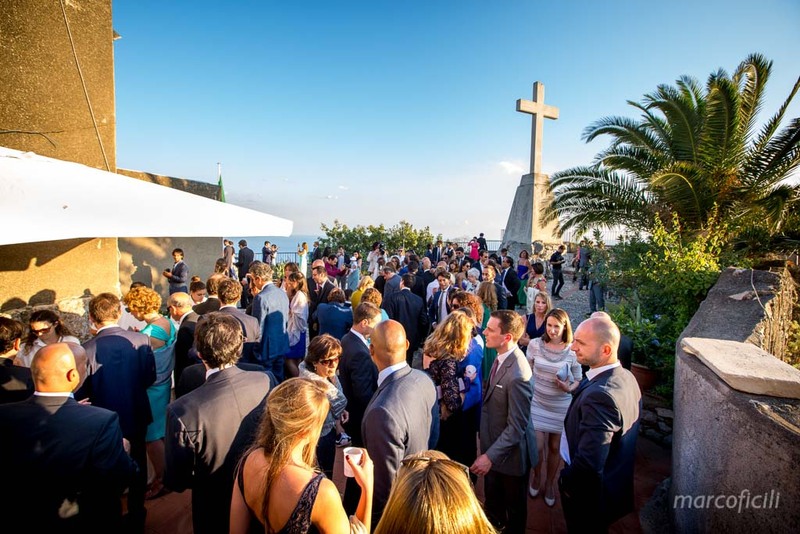 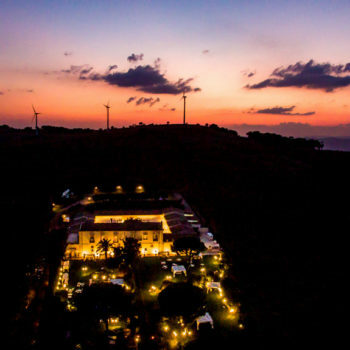 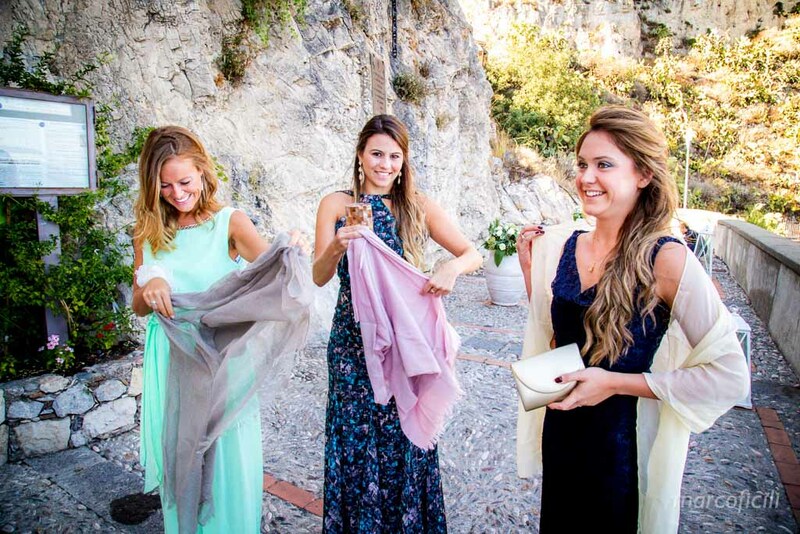 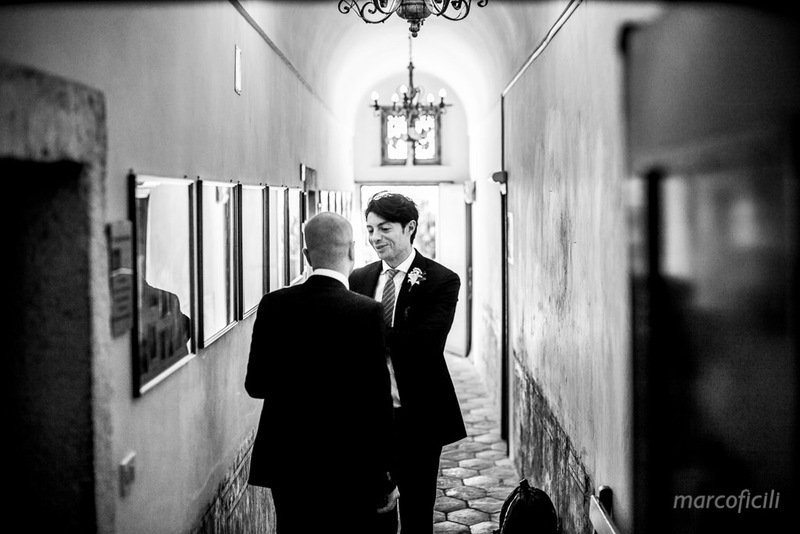 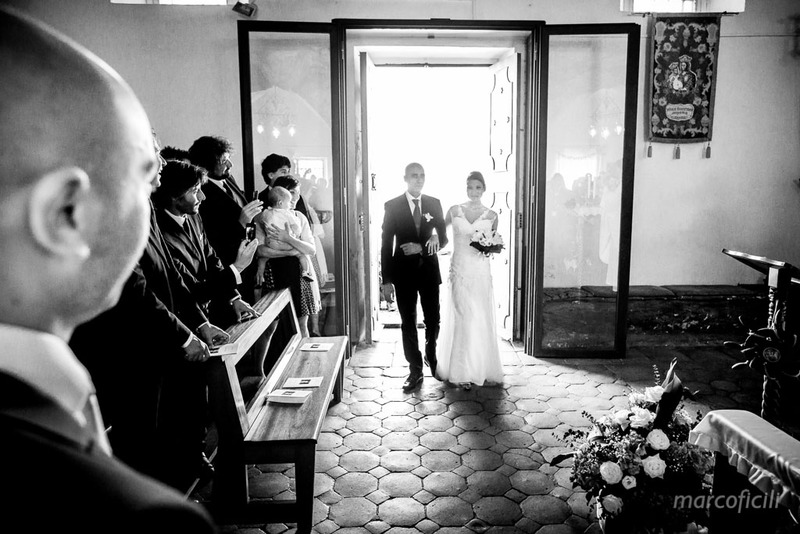 Then they welcomed their guests at the gorgeous Villa Sant’Andrea. 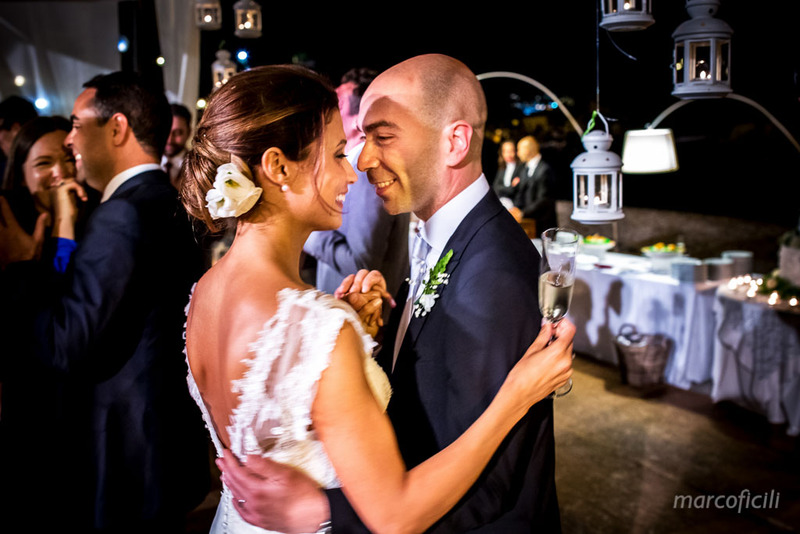 Barbara and Francesco celebrated and cheered with their friends under the light of a thousand white lanterns, by the sea.